I am not quite sure how Microsoft goes about collecting this information (and it is clearly incomplete), but for Windows 8 apps developers are provided with the breakdown of who downloaded their apps. 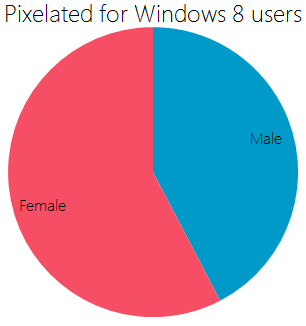 The two charts below show the gender distribution for the two most popular Ebscer games on the Windows 8 store. As you can see, the two games show very different results. 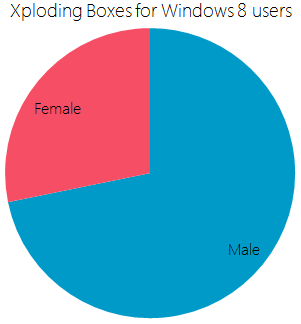 These stats were collected by Microsoft for downloads of the games Pixelated and Xploding Boxes over the past 12 months.